Dentures vs. Dental Implants: What’s the Difference? The dentures versus dental implants topic is one as old as time itself. According to the American College of Prosthodontists, about 120 million people in the country have at least one missing tooth. There are also more than 36 million Americans who do not have any teeth. 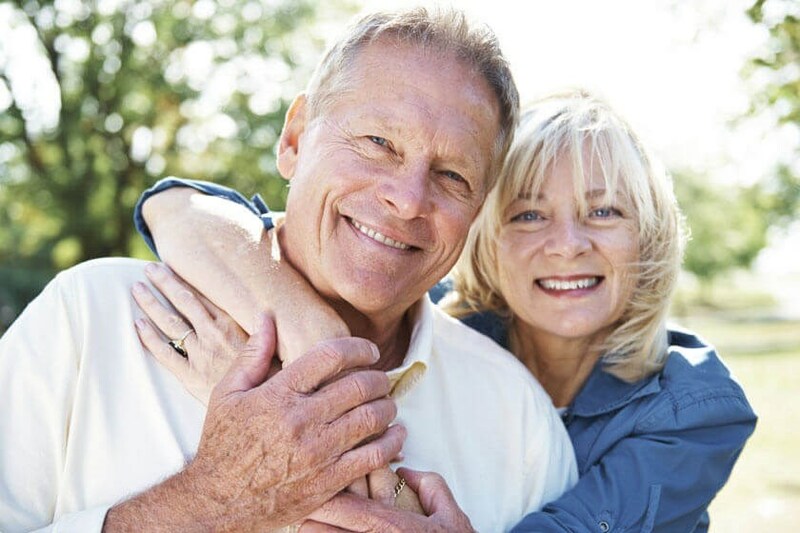 All of which begs the question: what’s the difference between dentures vs. dental implants? Keep reading to learn the difference and to see how SmilesNY can help! Dentures are also known as false teeth. They are prosthetic devices that are made to replace missing teeth. You might be wondering how it stays in the mouth. Dentures are supported by the surrounding soft and hard tissues of the oral cavity. Dentures help improve the chewing ability of a person. They also help with pronunciation, especially when it comes to pronouncing words with sibilants or fricatives. Dentures help improve the appearance of the face because they provide support to the lips and cheeks. They also help correct the collapsed appearance that comes from losing teeth. Finally, dentures help boost self-esteem due to improving your overall aesthetics and speech. It is recommended that dentures be cleaned on a daily basis. Similar to natural teeth, plaque and tartar can build up on dentures and cleaning them daily help to avoid this. It is also important to note that dentures should not be worn continuously and should be removed during sleep. This way, you’re giving your tissue a chance to recover and avoid possible fungal infection. Smokers should remove their dentures when smoking. The heat can damage the acrylic, which may result in burnt soft tissue. Dental implants are surgical fixtures that connect with the bone of the jaw or skull, which will then support a dental prosthesis. A crown, bridge, or denture are just some of the dental prosthesis that can be attached to a dental implant. Nowadays, dental implants undergo a biological process called osseointegration. This is the process in which an artificial implant, such as titanium, forms a connection with a living bone. In a dental implant procedure, the implant is attached first. Once osseointegration is complete, the dental prosthetic is then added. The implementation of the dental prosthetic depends on the healing time of the person. Dental implants function like your own teeth. Because of this, it’s easier to eat and speak, plus they’re more comfortable to wear compared to removable dentures. Dental implants are also known to last a long time. Did you know that with proper care, they can even last a lifetime? Finally, dental implants are convenient because you won’t need to take them out of your mouth. Similar to natural teeth, dental implants need to be cleaned with a Teflon instrument to remove any plaque. Flossing should also be done with care because of the unpredictable blood supply to the gums. Expect discoloration especially on the porcelain of crowns. You will also need to replace connections every couple of years. However, this is dependent on the type of attachment that was done. In some cases, a powered irrigator may be used for cleaning around implants. Still can’t decide on whether to get dentures or dental implants? Then schedule your consultation with SmilesNY today.